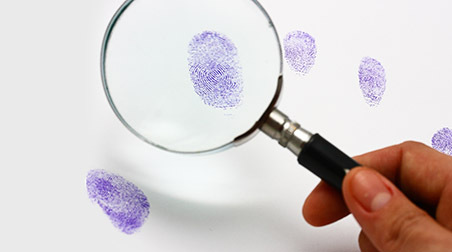 Are you looking for a private investigator in Manhattan, New York, NY or NYC? Then, welcome to the agency of Michael McKeever that provides a full range of investigative services including domestic & infidelity cases, insurance investigations, custody & divorce cases, comprehensive background checks, missing persons and more. So, don’t worry if you are stuck in a mess or facing a crisis in your personal or professional life. Give us a call and we will clear your doubts and provide you with substantial evidences. Read the blog to know more about why you should hire us. Why should you hire Michael McKeever – Private Investigator? With over 30 years of experience, ace detective Michael McKeever will offer you more than you expect. Although his forte lies in surveillance, he is always ready to take up a variety of cases that involves in-depth knowledge and local resources. If you are worried about secrecy, just sit back and relax. Backed by unparallel professionalism, he is extremely discreet about the cases and makes sure that your social image is not tarnished by the investigative process. Long years in the field have helped him to know every nook and corner of the city which enables him to strategically set up his surveillance, follow the leads and utilize a wide range of connection that he has developed over the past few decades. So, from Times Square to Chinatown or from Brooklyn to Manhattan, there isn’t a place in NYC where Michael McKeever has not visited to conduct an investigation. Since most of the cases come from referrals and requests from existing clients, Michael McKeever believes in delivering results and providing honest answers to the queries of his clients that they could not discover by themselves. Thus, individuals, companies, attorneys and businessmen in areas like New York, NY and Manhattan rely on this reputed and skilled detective for their investigative needs. So, what are you waiting for? Feel free to call us now at 212-226-0358 and get your case solved in time. New York, NY (NYC) Private Investigator services from Michael McKeever are discreet and reliable. Contact us today for more details!